MINALABAC, CSUR—Municipal Trial Court Judge Elsa A. Mampo declared and proclaimed Bernardo Albong Casilao as the duly elected Punong Barangay of Baliuag Nuevo in the October 28, 2013 barangay elections. It will be recalled that in the said election, Emar R. Alegre was proclaimed the winner, having obtained 287 votes, as against the 281 votes garnered by protestant Casilao. This means that Alegre had a margin of six (6) votes against protestant Casilao. Alleging irregularities, Casilao, filed an election protest case against Alegre in the Municipal Trial Court. In the revision of ballots conducted on December 17, 18, and 20, 2013, the actual physical count of the ballots showed that Alegre obtained 286 votes only, not 287 per the official report of the COMELEC. It was posited by the protestant that in Precinct Nos. 0038B and 0040A, Alegre obtained 121 votes only, and not 122. Meanwhile, out of the total 286 votes credited to Alegre, protestant Casilao contested a total of 46 votes. In the revision of ballots, the protestant cited various grounds in the rules on interpretation of votes. In its ruling, the court stated that out of the 46 contested votes contested by Casilao, the court said that 20 votes are valid, and the rest were invalidated due to applicable rules on interpretation. In resolving the issue, after revision of the contested ballots, the court declared that Casilao won by a margin of two (2) votes over Alegre . Meanwhile, the proclamation made by the members of the Board of Canvassers of Baliuag Nuevo, Minalabac, Camarines Sur that declared and proclaimed protestee Emar Alegre as the winning candate is set aside or declared null and void, the court added. In another election protest case, Judge Elsa Mampo also reversed the proclamation of Mildred A. Reyes, in favor of protestant Dexter R. Soliman. In controversy, Soliman petitioned the court to conduct a recount of votes for the position of Punong Barangay at San Jose, this municipality. 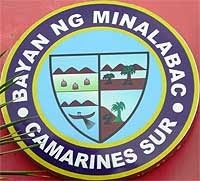 The Barangay Board of Canvassers declared that Mildred A. Reyes garnered 369 votes, while Dexter R. Soliman, had only 363. Soliman questioned Reyes’ proclamation by alleging among others, that the votes that should have been credited to the protestant were not counted. Based on the evidence presented by the protestant, the court considered as valid four claims, under the neighborhood principle. Protestant said that his name was written not on the space reserved for the position of the punong barangay. Rather, they were written in the spaces for the position of barangay kagawad. However, the space for the votes for the punong barangay was left unfilled. The court also noted that there were several other infirmities in the counting of votes. Visibly noteworthy are some marked ballots, as pointed out by the petitioner. Said ballots were invalidated. The court said that due to the appreciation of ballots, Dexter R. Soliman was declared the duly elected Punong Barangay Jose having obtained a plurality of votes of seven (7).